Moms these days are juggling careers with being a mom and they understand how important it is to make memories whenever they can. Most aspects of their lives are changing, even down to the baby showers being thrown for them. There are some exciting new trends in store for 2013, and whether you’re a soon-to-be mom or a baby shower hostess, being ahead of the trends can help you plan a fantastic shower. Sentimental gifts are very in right now. Mom and her friends want to create fantastic mementos for baby that he or she can enjoy for many years. 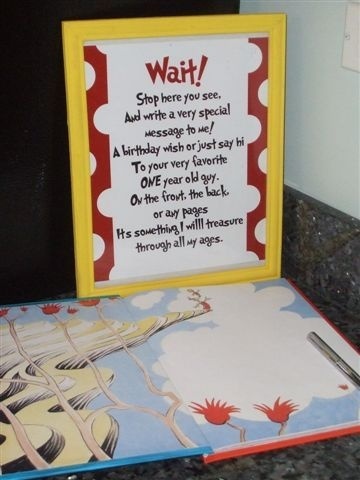 One fantastic idea is for every guest to bring a book for the baby and write a little message in the front cover. This is something that will be cherished forever rather than something that will be used and forgotten about in 6 months. Another great idea is for each guest to paint a picture on a small canvas for the baby and give them to Mom to hang in the nursery. Sentimental gifts are always a win. This is a term becoming more and more popular for moms who are having their 2nd, 3rd, 4th and so on children. Because it’s widely debated whether a mom having a baby other than her first should have a shower, the “sprinkle” is the alternative. It often involves homemade gifts and is typically more of a celebration of the baby rather than an attempt to get Mom and Dad ready with the necessary supplies. Everything is the same, from delicious menus to the baby shower favors, but it’s more of an acknowledgement of the child waiting to be born. Gender reveals are a ton of fun, and sure to be a huge hit in 2013. 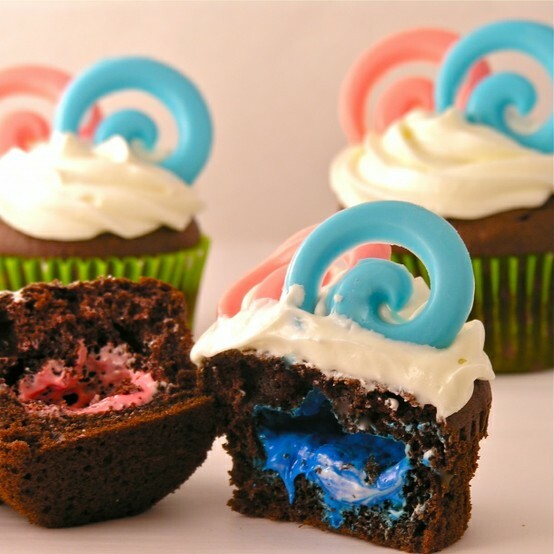 Moms are thinking up the most creative ways to reveal the gender of their baby, from cakes tinted pink or blue to hidden clues such as mustaches or hair bows. 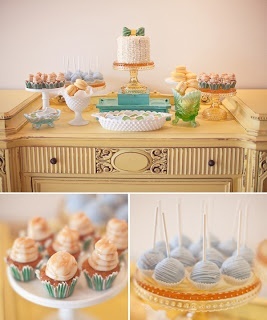 There’s no limit to the fun you can have with a gender reveal baby shower. Whether you’re the one having a new little bundle of joy or you’re hosting the baby shower for a friend or family member, keep these trends in mind when planning and you’re sure to plan a winning party! This entry was posted in Baby Shower Planning, Baby Shower Trends, Baby Sprinkle and tagged baby shower gifts, gender reveal. Bookmark the permalink.